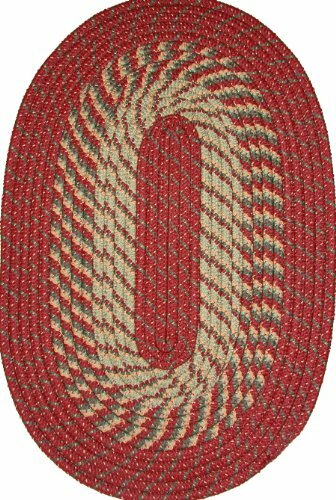 The Cunningham Jute Rug Oval is perfect for the holidays or anytime of the year. Cherry red and natural jute creates a colorful addition to your home.FEATURESConcentric braids of cherry red and natural juteBraided: Machine braided, Machine stitchedSPECIFICATIONSMaterial: 100% juteColors: cherry red, naturalManufacturer Country: IndiaCare: Spot clean only, no chlorine bleach.SIZES AVAILABLE72x108Weight: 22.8 lbDimensions: L72"xW108"60x96Weight: 17 lbDimensions: L60"xW96"36x60Weight: 6.3 lbDimensions: L36"xW60"27x48Weight: 3.5 lbDimensions: L27"xW48"20x30Weight: 2 lbDimensions: L20"xW30"* To prevent colors from bleeding do not use chemicals or wet clean this item. A rug pad is recommended to keep your floors safe from color bleeding and abrasiveness of the jute fibers. Classic styling, soft underfoot, long lasting and durable enough for indoor/outdoor use. Made from the finest dyes and the finest yarns, that all come together in perfect harmony to create our braids. These are hand sewn with the strongest with the strongest stitch to ensure your braided rug will last longer. 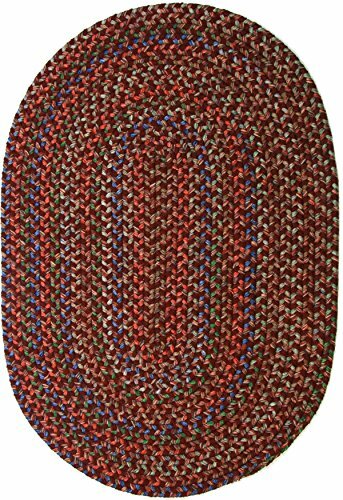 Banded premium tubular braided rug enhances both contemporary and traditional room decors. Available in: Straw, Chestnut Brown, Brown, Barn Red, Light Rose, Burgundy, Blue Mist, Midnight Blue, Hunter Green, Multi, Natural, Country Green, Wine, Red, Blue, Ponderosa Pine, & (New!) Sea Plum. Sizes Available: 20" x 30", 30" x 50", 24" x 60", 22" x 108", 40" x 60", 5' x 8', 8' x 11', 6' x 6', 8' x 8', 9'6" x 13'6", and 15" x 15" Chair Pads. 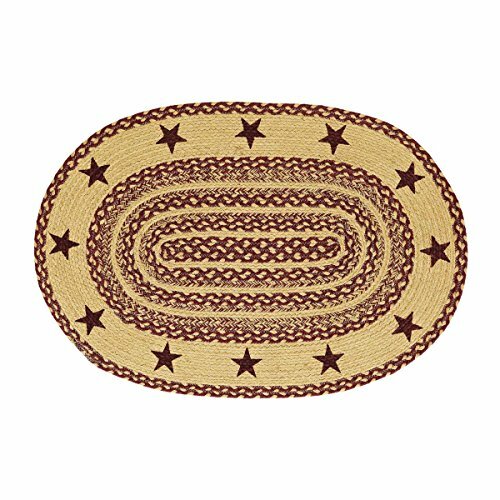 The Burgundy Tan Jute Rug Oval Stencil Stars offers beautiful alternating braids of tan and burgundy surrounded by burgundy 5-point stars to complete any country homestead.FEATURESAlternating braids of burgundy and tanStenciled burgundy 5-point stars around outside edgeBraided: Machine braided, Machine stitchedSPECIFICATIONSMaterial: 100% juteColors: burgundy, naturalManufacturer Country: IndiaCare: Spot clean only, no chlorine bleach.SIZES AVAILABLE24x36Weight: 2.9 lbDimensions: L24"xW36"20x30Weight: 2 lbDimensions: L20"xW30"* To prevent colors from bleeding do not use chemicals or wet clean this item. A rug pad is recommended to keep your floors safe from color bleeding and abrasiveness of the jute fibers. 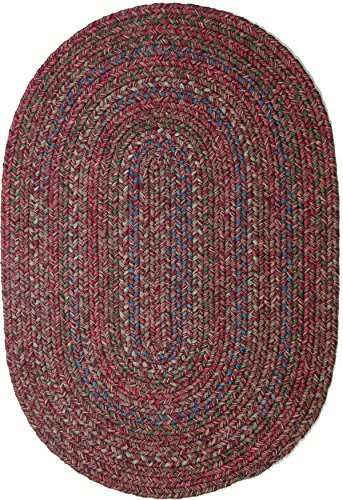 Sonya burgundy multicolored indoor / outdoor reversible braided rug, 4 ft. x 6 ft. oval. If you want the best products that money can buy, look no further than American made. 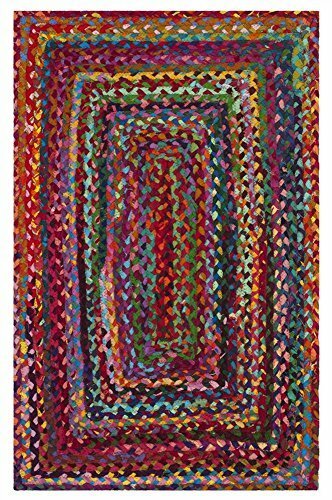 Folk Art Braided Rectangle Rug - 48"x72"
Folk Art Braided Rectangle Rug - 48"x72" 48" Wide x 72" Long Colors of black, brick red and hues of tan. 100% cotton. Occasional vacuuming recommended. Spills should be cleaned immediately with a very mild non-bleach cleaner. Test in a small space as some cleaners will remove color. Use a non-skid rug liner under the rug to improve skid resistance and to prevent color transfer. Over time, rugs will fade. It is recommended to rotate the rug and occasionally flip it to extend the life of the rug. Priced and sold individually.Designed and manufactured by Park Designs. All of our braided area rugs are made in the USA. Super Area Rugs prides itsself in helping local business thrive while providing a great quality product. Our braided rugs are hand-crafted and typically last over 10 years. They are also reversible rugs; allowing them to be used on both sides. 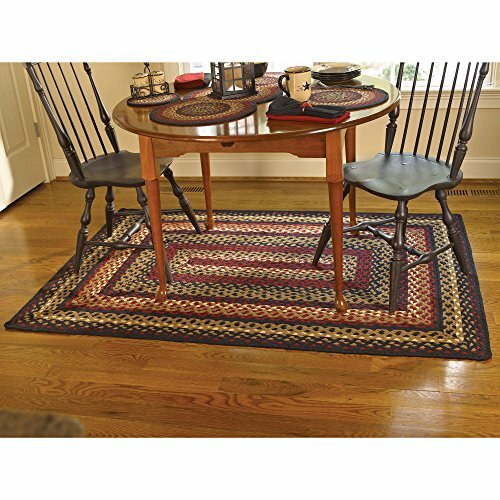 Place one of our braided rugs in your kitchen, dining room or living room today and see what a difference a braided rug will make in your home. 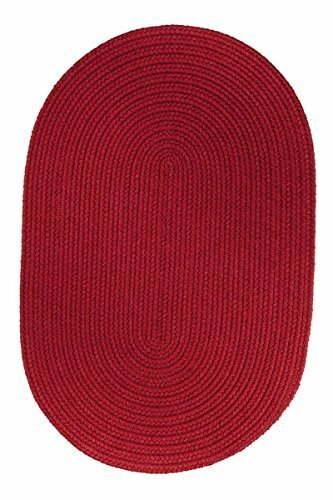 Katherine Burgundy Multi 2 ft. x 3 ft. Indoor / Outdoor Oval Braided Rug. 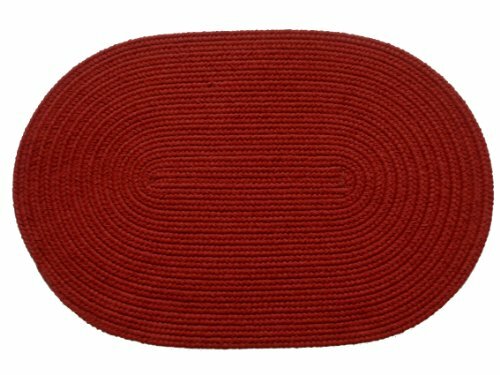 Just place this stain resistant rug in the entry, bath, Kitchen, etc. Any high traffic area. 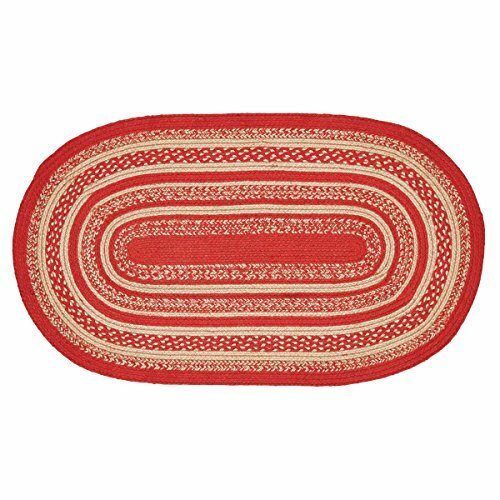 Compare prices on Red Braided Rug at ShopPlanetUp.com – use promo codes and coupons for best offers and deals. We work hard to get you amazing deals and collect all available offers online and represent it in one place for the customers. Now our visitors can leverage benefits of big brands and heavy discounts available for that day and for famous brands.